The Federal Bureau of Investigation (FBI), in conjunction with other U.S. and Mexican law enforcement partners, is seeking the public’s assistance in learning the identity of the two individuals allegedly responsible for the November 30 grenade attack on the U.S. Consulate compound in Guadalajara, Jalisco. To aid in this effort, the FBI is releasing the above images (a composite sketch and a still image) of Subject 1, as well as a video of Subject 1 throwing two grenades into the Consulate compound and a video of Subject 2 captured at the intersection of Avenidas Chapultepec and Vallarta. 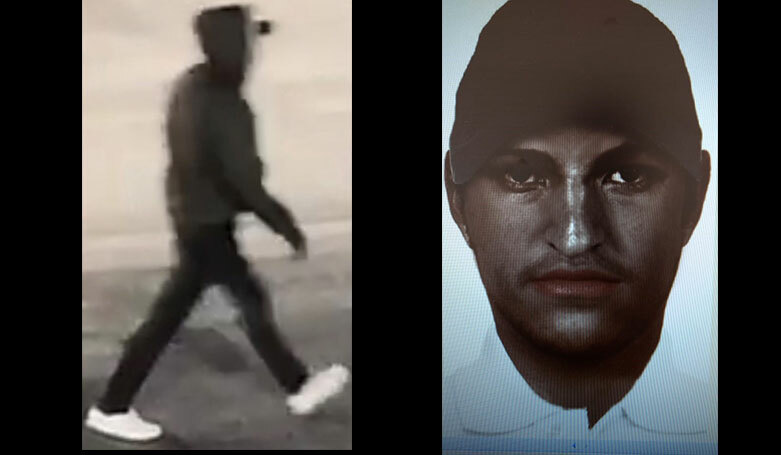 Described by witnesses as wearing a blue or grey-colored, zip-up hooded sweatshirt, white polo undershirt, black hat, dark jeans, and white shoes. Described by witnesses as wearing a dark-colored, windbreaker-style jacket with white letters or stripe on the back, light-colored pants, and dark shoes with a reflective emblem. Thoughts? I am placing this case in "Unsolved on TV" since it did make national news for obvious reasons. It is a miracle no one was even injured, let alone killed, but things could turn out a lot worse in the future if these suspects aren't caught soon. Admin Note #1: According to the FBI.Gov website: Anyone with information regarding this incident or the identity or the whereabouts of the individual or group responsible, please contact investigators at a toll free number 001-800-225-5324 (if calling from Mexico) or 1-800-225-5324 (if calling from the U.S.), or +52-33-3268-2349, or contact your local FBI office or the nearest American Embassy or Consulate. All information can remain anonymous and confidentiality is guaranteed. Well I posted this a few weeks believing the CJNG was likely behind the attack, and I stand by that theory, since it was circulating weeks prior to the actual attack that the CJNG in particular Nemesio Oseguera Cervantes had ordered an attack on the U.S. consulate in a video of a CJNG operative being tortured. Yeah I know you referenced it but made an official thread since there is now an FBI website profile of the case. It’s also good that they’re offering a $20,000 for a possible hitman, hopefully he doesn’t die in standoffs with rival cartel members or is taken out by his own group. I would say Anti-Americanism is at play here, but the reality is that U.S. also wants to help Mexico takedown these groups and these groups will stop at nothing.